You might have heard of legendary filmmaker Francis Ford Coppola? Here's his gift guide for wine lovers. 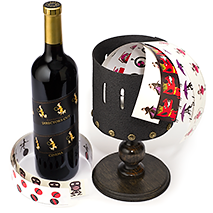 Zoetrope Collection: "The Zoetrope Collection combines my two greatest passions – film and wine - into one wonderful gift." Watercolor Postcards and Reserve Viognier: "Big or small, everyone has a creative side. This special gift gives your loved one the opportunity to create something beautiful while enjoying great wine." 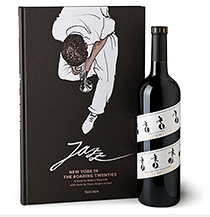 Jazz Collection: "The Jazz Collection reflects my appreciation for the alluring era of the Roaring Twenties and the great music it inspired. The Director's Cut Cabernet is also one of my personal favorites." Gia Collection with Fashion Book: "This gift was inspired by my fashionable granddaughter, Gia. We have many fond memories together at the winery and the Gia wines are great for celebrating in style."